How serious are Indians about eating healthy? The food services business is expected to grow to Rs 5,52,000 crore by 2022. The food services industry, at least in the cities, is moving towards wellness - a mega trend that nudges consumers who are willing to pay the price towards healthier food options - whether it is in the restaurant, in packaged food, or while you order delivery of vegetables, milk, and meat to home. Indeed, there are companies that now source and promise to deliver antibiotic-free chicken. A new fad, neuro-nutrition, is taking root. A new FICCI-PWC report, 'The changing landscape of the retail food service industry' identifies 'health and wellness' as one of the factors driving the Indian food services industry, which totaled Rs 3,37,500 crore in 2017. The food services business is expected to grow to Rs 5,52,000 crore by 2022. The focus on health and wellness is because of a growing recognition of the need to eat right, the report states. "Health issues, such as respiratory disorders, skin diseases, food and water-borne diseases are on the rise as a result of growing air pollution and the quality food and water we consume. Poor lifestyle choices and inadequate access to proper nutrition are leading to heart disease or diabetes. This is driving consumers to become more conscious of what they eat. In the past, checking the ingredients written in fine print on packages was not a common practice. Now, more and more consumers have begun to give equal importance to the quality and source of ingredients used in the food," the report says. Neuro-nutrition is gaining popularity, the report adds. Sometimes called 'brain food', it is food that could help the brain remain healthy if taken regularly and also slow cognitive decline due to aging. Consumers are also willing to go back to basics, eating the non-fancy stuff, or what your grandmother ate. "It is expected that over the next few years, many more will follow this trend. Heritage millets and old-world recipes are being appreciated and are making their way back into kitchens. Whether it is the rise of lifestyle diseases or our love for everything traditional, millets such as jowar and bajra are increasingly being used in cakes, cookies, muffins and crackers extensively. Home chefs, another growing trend, are likely to drive this as they run small kitchens where the recipe for success is a mix of experimentation and quality control," the report states. The health food industry in India has three primary segments today - the app-based ordering companies, the packaged food industry, and the organic players. The online health food ordering and subscription business is being driven by companies such as eat.fit, FreshMenu, and Grow Fit. "In just a short span of time, these companies have already evolved to cater to seemingly every single conceivable health food need and fad. Whether it is low-carb, high-protein grains and flours, organic produce, healthy versions of old Indian favourites such as rajma or biryani or internationally popular trends, e.g., dried Tibetan lemon, kale chips, activated charcoal drinks, alfalfa seeds or yogurt parfaits, new-age companies offer them all," the FICCI-PWC report tells. In the packaged health food segment, there is snack bar maker Yoga Bar, Greek yogurt brand Epigamia, organic cold-pressed juice label Raw Pressery and smoothie maker Goodness!. Companies such as Big Basket now aggregate organic produce. There are also many meat start-ups such as Licious and LionFresh. The report also makes a mention of milk brands such as MilkLane. "Apart from the profusion of start-ups cashing in on this fitness trend, there are, of course, established retailers such as Future Group and Godrej that are catering to the health-conscious consumer through their Foodhall and Nature's Basket stores, respectively," the report says and adds that the landscape could see many more packaged food companies in the future because of e-commerce. "Health food is still largely an urban, metro phenomenon. Awareness has not yet trickled down to other cities. Premium pricing of such products and a nascent supply chain also put most products out of reach for consumers in non-metro areas. 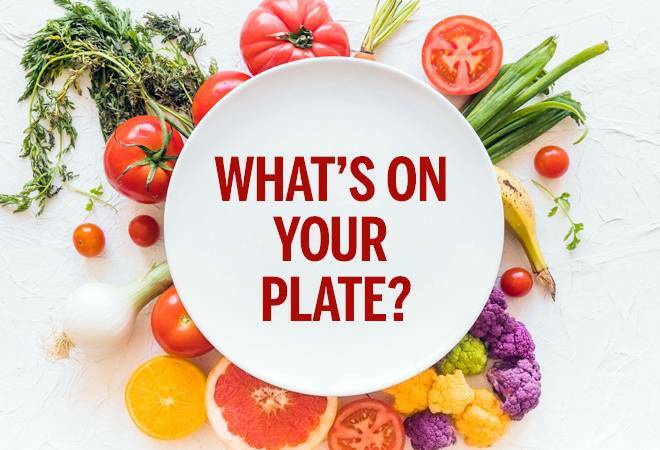 However, with growing consumer preference, it is only a matter of time before the health and wellness food service industry expands its base and becomes a prominent part of the overall food service industry," the report summarises.